What is the fast of firstborns and why is it done? It is customary for Jewish firstborns to fast during the day of the eve of Passover. It commemorates the miracle that saved the Jewish firstborns from the plague that slew all the firstborns in Egypt the night of Passover. But why commemorate by fasting? I say it was the “firstborns in Egypt” that died and not the “Egyptian firstborns” because, according to the Talmudic sages, all firstborns in Egypt, even of other nations, perished in the plague. If all firstborns died, the Israelites were also potentially subject to the plague. The Jewish firstborns therefore fast to commemorate their being spared the same fate as the other firstborns. However, according to this, the fast should be on Passover itself when the miracle actually took place. The reason it’s not observed then is because we don’t fast on a festival. It is therefore usually observed on the day of the eve of Passover. This leads to another explanation for the fast. In anticipation of the plague threatening all the firstborns in Egypt, the Israelite firstborns fasted on the eve of Passover to absolve themselves of any potential harm from the pending plague called for Passover night. Hence the miracle is commemorated through fasting on Passover Eve when the firstborn Jews themselves fasted and were thereby saved from the plague. Another reason for commemorating the miracle by fasting may be to express our regret that the redemption from Egypt involved such great loss of life. Even though the Egyptians persecuted the Jews terribly and ultimately brought the destruction upon themselves, we nevertheless temper our joy to emphasize that we celebrate the salvation from G-d, not the destruction of our enemies. Similarly, for this reason we do not recite the full version of the special “Hallel” prayer for most of Passover — we cannot express full joy when the redemption left so many of G-d’s creations dead. While the fast of the firstborns is still in effect today regarding penitence and giving charity, it is usually not observed by fasting. What is usually done is that firstborn males over 13 years old attend some special event that involves a mitzvah and accompanying mitzvah-meal. Since they are present, they are permitted to partake of the mitzvah-meal. Having broken the fast for a mitzvah, they may eat for the rest of the day. This event is usually a “siyum”, celebrating the completion of a Talmudic tractate that is scheduled for the eve of Passover after the morning prayer service. In a year when Passover is on Shabbat, the fast is usually observed in its proper time on Friday, despite its being the eve of Shabbat. 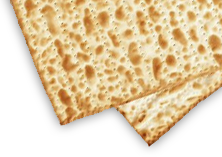 However, if Passover is on Sunday such that the eve of Passover is on Shabbat when fasting is prohibited, the fast is observed on Thursday since a fast that has been suspended from its normal time may not be held on the eve of Shabbat. That is the case this year (5768, 2008).